As the UK’s only specialist credit control recruitment agency, we want businesses to know exactly how we can help them find the highest quality candidates available. Our new credit control brochure outlines exactly what you can expect from us, including the wide variety of full time and part time vacancies we help to fill every day. Why should you choose Portfolio Credit Control? We are an award-winning recruitment team, having been listed on the Sunday Times Fast Track 100 and the Recruiter Hot 100. This recognises our expertise in matching the best candidates available to a range of small and large businesses. Our approach is tailored to the specific needs of your business. You will be assigned a dedicated recruitment consultant who will take the time to get to know you and your company, allowing us to make sure only the most suitable candidates are sent to you for an interview. For example, once we have chosen the applicants whose CVs best match the requirements of your vacancy, we will speak to each of them in order to determine whether or not they would be a good fit for your company on a personal level. Many companies also turn to us when they require temporary staff to join their team. Whether this is to cover a long-term absence or simply to work on a specific project, we can ensure you receive the best talent available. Furthermore, for credit control temps your first day is free, meaning you can cancel the agreement if you are not satisfied with the employee at no cost to your company. 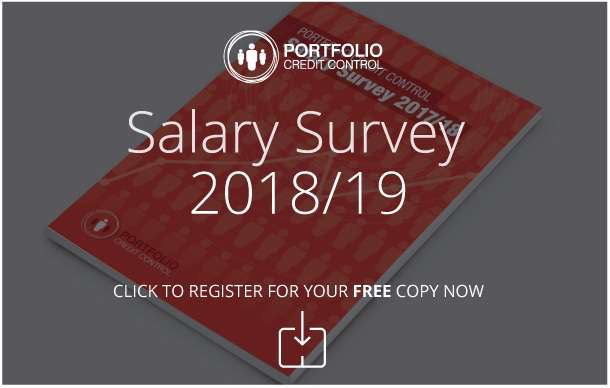 If you would like to receive a paper copy of our brochure, or if you have any other questions about Portfolio Credit Control and our recruitment techniques, you can call our London offices on 020 7650 3199.